What Is Giving Tuesday? and Why Is It Important for Truth For Life? Blog What Is Giving Tuesday? and Why Is It Important for Truth For Life? Giving Tuesday is important for nonprofit organizations like Truth For Life because today men and women around the globe will give generously to the nonprofit organizations that benefit them throughout the year. And we’d like to ask you to do the same! Here at Truth For Life, your partnership makes the worldwide proclamation of the Gospel through Alistair's teaching possible because your giving cares for the substantial cost of radio, online, and mobile program distribution. Your giving also brings high-quality Bible teaching resources from Truth For Life to others at cost, with no markup. One example of this is the Spurgeon Study Bible, which you can buy from Truth For Life for only $30 plus shipping ($54.99 on Amazon). The Spurgeon Study Bible is a complete presentation of Scripture in the CSB version, accompanied by thousands of study notes and quotes from 19th-century preacher Charles Spurgeon. Edited by Alistair, this Bible also contains 20 of Spurgeon's “lost sermons” and is a rich treasure of biblical insight. 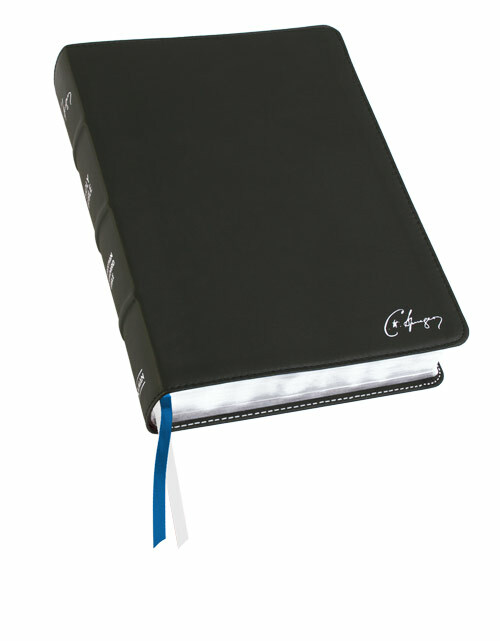 It comes in genuine leather and is fully indexed. If you already own a copy, the Spurgeon Study Bible makes a great Christmas gift! Please make a needed Giving Tuesday donation to Truth For Life today! And, if you'd like to order the Spurgeon Study Bible, please add a generous donation when you check out so that the Bible teaching of Alistair Begg can go out boldly in 2019. Thank you.